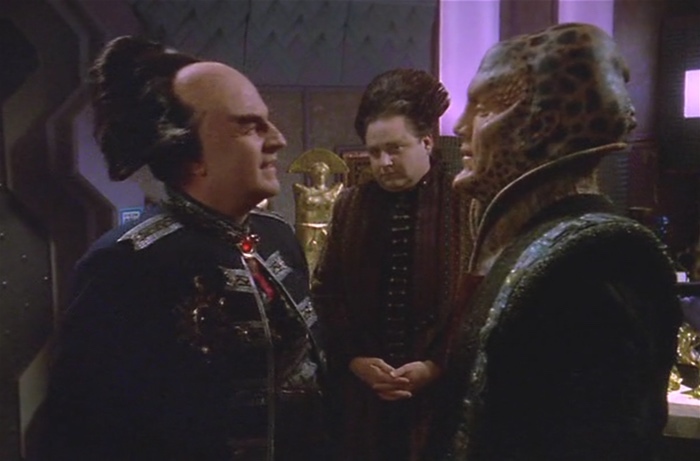 Apparently Babylon 5‘s third season isn’t too late for one of those slice-of-life episodes we got much more of a year or two ago. (Er, about 20 years ago.) What did you think of the Evil Probe that Bombs at Midnight? The return of the newly-named Ta’Lon? And poor, poor Vir…? You didn’t remember what the episode was about, either.